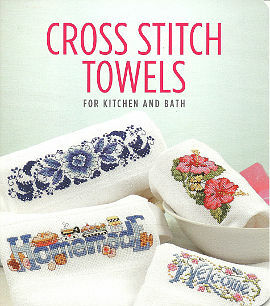 Why settle for plain towels, when it is so quick and easy to create towels accented with beautiful Cross Stitch? Thanks to prefinished towels that come with an evenweave stitching area, your towel is ready to use (or present as a gift) in no time, with no sewing involved! Choose from 19 designs for bath and kitchen.